[ARCHIVED THREAD] - Question about using an Offset Aimpoint T1 with a scope with turrets? So I'm doing a build right now that I want to use an Aimpoint T1 and a Vortex 2.5-10 Viper PST. My plan is to use the Aimpoint on an offset mount but the question came up if the turrets on the scope would obscure the view of the T1. Well, I ran into the same problem with both a Nightforce and a Leopold Mark IV. When life gives you lemons, rub them into their wounds. Hm...I'd rather have it mounted at the 4-5 o'clock in regards to the scope. Could you rotate the ring mount down that way? Would it work or do you run into the same problem? It appears that you will still have the same problem. 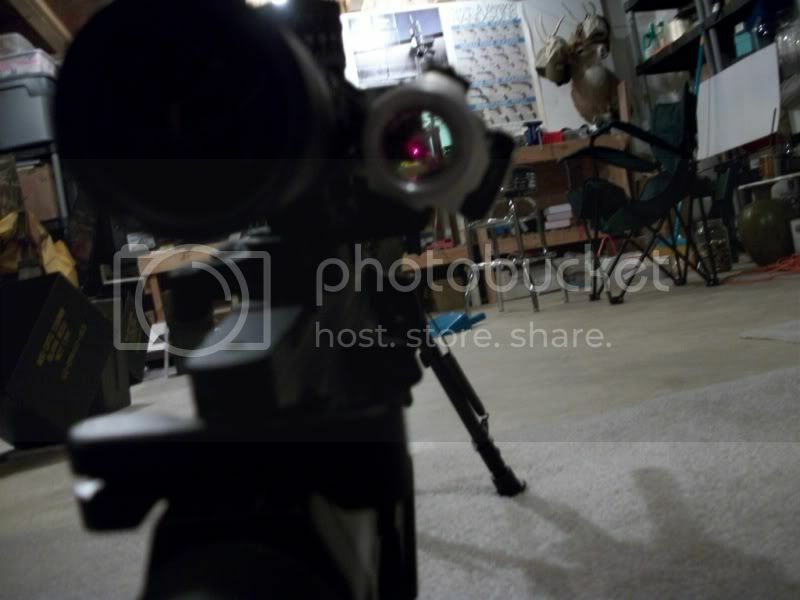 Regarding the off-set mount that goes directly to the rail, the first problem you will be dealing with is clearance off the gun of the optic to fit the offset mount under the scope, and the turret will be in the way. If you mount the offset out in front of the optic, the turret will be a problem and you will have a hard time locating the red dot that far from your eye. The objective lens may also be a problem. The ring mount is very nice. It mounts directly to the optic tube. You can adjust it to the side to rest just above the view of the turret. Yes, you will have to break your cheek weld to look through it, but you'll be doing the same thing with the offset mount in order to rotate the gun for proper sight picture. 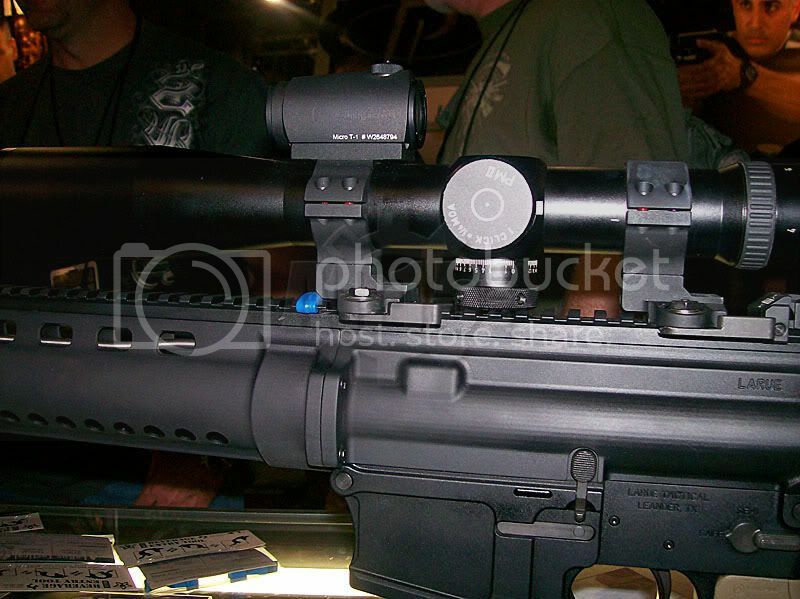 This mount is a great solution to having red dot on your magnified optic system. For deer season, I had this set up just right and had no problem quickly adjusting myself to get a 50 yard shot off on a deer that came in closer than I hoped. Actually, I have killed two deer this way. Last year, I had one jump up only 35 yards from me while I was on the way to the stand. A quick muzzle rise and cant was all it took to drop her. This year I had more time to set up. A doe walked out at 15 yards. Same thing, point, cant, fire. It won't work with the LT-724. My nightforce knobs were just way too big to use the aimpoint. They warn against it in the description. Here is a pic to show how bad of an idea it is.